When you have family and friends spread out across the country, it's easy to get stuck on what you can buy and send their way to really show you are thinking about them during the busy holiday season. And even harder, what about that boss or special client? Those are even harder gifts to buy. 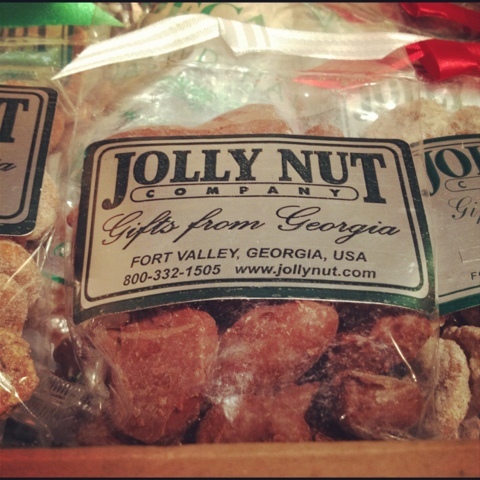 Last week I received a wonderful box in the mail from the Jolly Nut Company, a family-based company out of Fort Valley, Georgia. 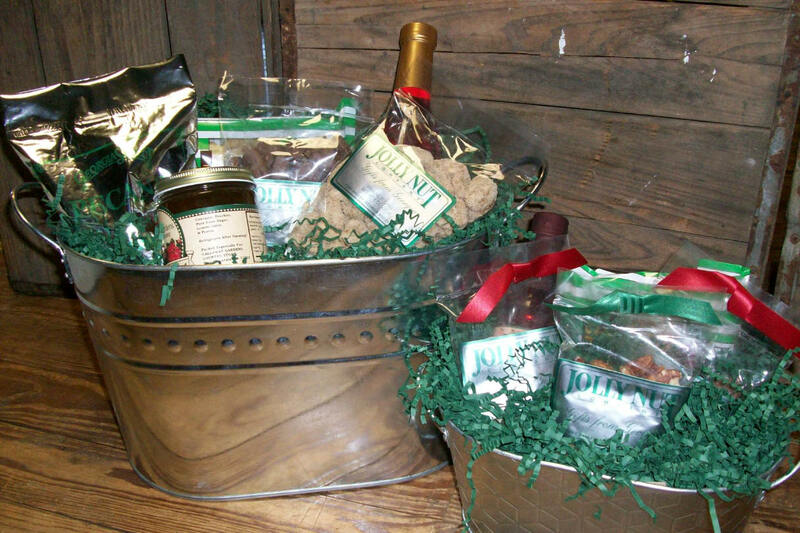 Jolly Nut has combined the perfection of buying local and sending national with their selection of treats. I thought I would be all in control and, you know, open one of the bags at a time to sample. Nope. I was a little ridiculous and opened each bag and tried a few of each right there on the spot. So good! My favorite three were the chocolate halves (my chocolate-loving Grandma would love these), the sweet and salty pecans (tasted like a sugar and spice pretzel from the mall!) and what they said was their most popular product, the roasted and salted pecans. That variety in particular made an excellent post-game treat for us after watching the conference playoff games last weekend, and would be great for any sports lover in your life. The roasted and salty flavors were addicting! Are you interested in Jolly Nuts for your holiday shopping? Head to their website and check out their full selection. They offer a variety of gift baskets and tins as well as huge party packs of their basic pecans that you could have on hand for parties or baking. Thanks, Jolly Nut, for sharing the goodness! They were all wonderful! Disclosure: I received product in exchange for this post, but all opinions are my own. These gift packs are in no way for people on a budget!